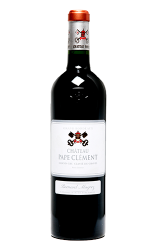 Chateau Pape Clement is one of the oldest classified growth of all Bordeaux vineyards, it is a Graves Classified Growth in the Pessac-Leognan region appellation. The historic property has been harvesting wine since 1252, under the leadership of Bertrand de Got who became Pope Clement V in 1305. He then gave his name to the chateau. The vineyard produces red wine which extends over 30 hectares. The grape varieties grown are Cabernet Sauvignon, Merlot, and Cabernet Franc which are all planted on Pyrenean clay. 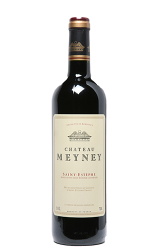 Peres Feuillants planted the first grapes of Chateau Meyney in 1662. It is one of the oldest properties in the Medoc. Since 2004 CA Grands Crus has owned the vineyard, and they have implemented a plan to optimise the vineyard. It covers a total area of 51 hectares in the Saint-Estephe appellation. The vineyard grows Cabernet Sauvignon (60%), Merlot (30%) and Petit Verdot (10%). The terroir on which the vines are planted is quite unique, and produces high-quality wines. 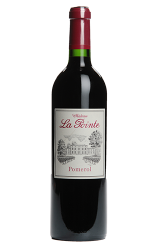 Chateau La Pointe is a property of 23 hectares located in the Pomerol appellation. “La Pointe” is a reference to the special shape of the estate. Merlot and Cabernet Franc are planted on soil composed of gravel, pebbles with a sub-soil of gravel and sand. Every day you can find the list of wines that are available for sale as soon as they are released on our blog. Thanks to this daily summary, you can be sure not to miss any releases from the exceptional Futures 2016 campaign. You also have the opportunity to sign up for our Future alerts and be notified via SMS or E-mail.